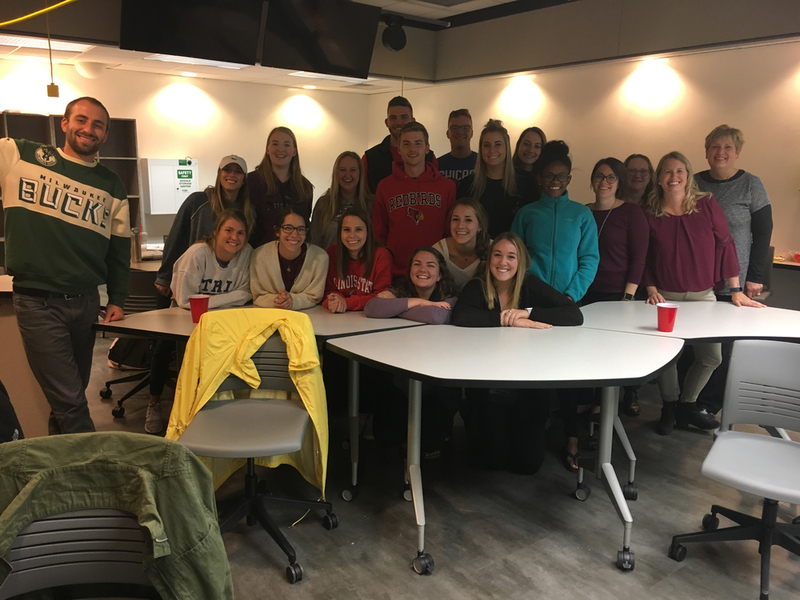 On the evening of Thursday, October 12th, members of the 7th grade team participated in a teacher panel at Illinois State University. The team attended a senior block class for students who are preparing to student teach in middle schools next semester. While at ISU, the team answers questions from students about the benefits of teaming, skills based reporting, and what it is like to teach at the middle school level. It was fun being able to share what we do at OMS with future educators!